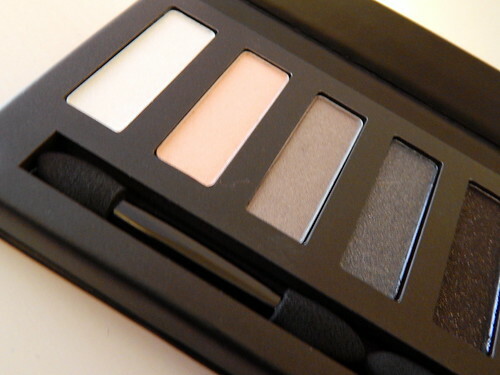 I love Barry M and I love eyeshadow palettes, so todays post has a little feeling of 'fate'. To be truly honest, i've only ever used Barry M nail varnishes but that being said i've always had a little look but just never actually took the plunge. Well, that's about to change. I'm quite a neutrals girl I'd say, especially for day time but for a good night time look, i'm partial to a smokey eye or two! 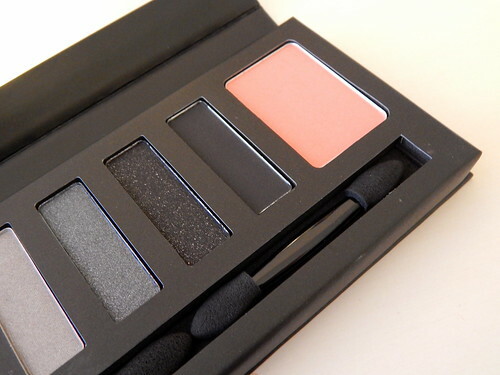 This palette is the bomb for creating a dark smokey eye. It isn't too daunting, the colours admittedly are quite dark but nothing that some light application and decent blending can't handle. I've even managed to create a day time smokey eye using the two grey shades which looked gorgeous! There's a mixture of matte and shimmery shades which makes it suitable for everyone. The two lightest shades and the final black shade are the matte ones, however they do still have a slight shimmer to them. Where as the other three shades are very shimmery, slightly glittery. The shades are really easy to apply and super blendable. I found it really easy to create a smokey and i'm a complete newbie. It does come with two double ended applicators but like many people, I didn't use them. 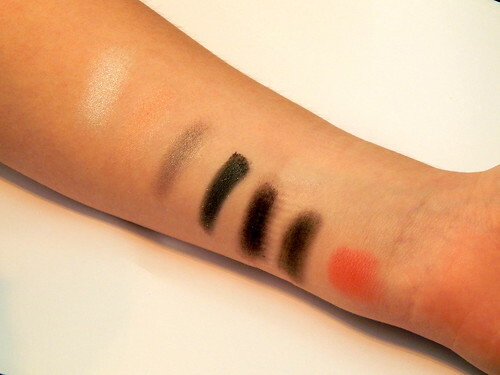 As you can tell from the swatches, the matte shades are a little less pigmented than the shimmery shades. You can barely see the pink shade and that has been heavily swatched. The shimmery shades on the other hand are completely the opposite, the dark grey and black are super pigmented! The shades last on my eyelids for a good 6 hours without creasing, which for my oily lids is brilliant. I was surprised by the longevity of these shadows but really pleased that they lasted so long. Overall, for £6.49 for 6 eyeshadows and a blusher you can't go wrong. 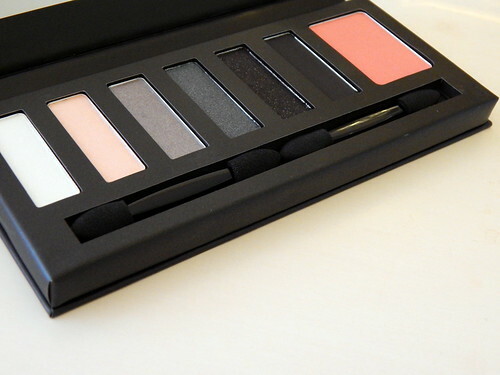 Yes, the matte shades aren't as pigmented but the wear of this palette only justifies buying it. 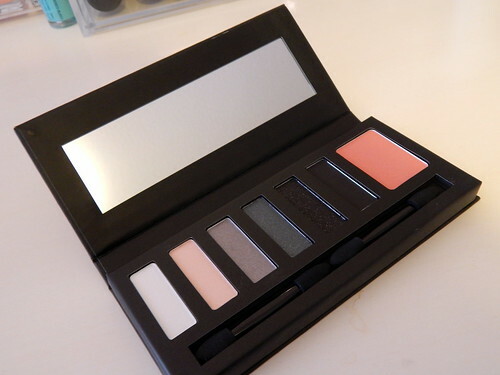 The blush is also a lovely little feature and i'm definitely interested in trying the two other palettes in this collection. Have you tried any Barry M products?